Rare and very obscure Korean hard psych from 1981,with excellent fuzz guitar and the typical Far East vocals.Would appeal to all fans of Terry Brooks,Blue Cheer,Leafhood,etc. for some reason, only track 6 can be extracted from the archive. this album looks great ..I wonder if anyone else has experienced this. ditto... This looks great, can't wait to have this album available in unzippable file. Great album. Thanks a lot. Does anyone know somewhere to get the titles in Korean characters? I'm really curious what the song tracks are. The defaults that came with the download were all crazy characters (seems like they were chosen randomly). One of them is "track 1" though. I'm Korean and glad to see this album here. wow. thank you so much. 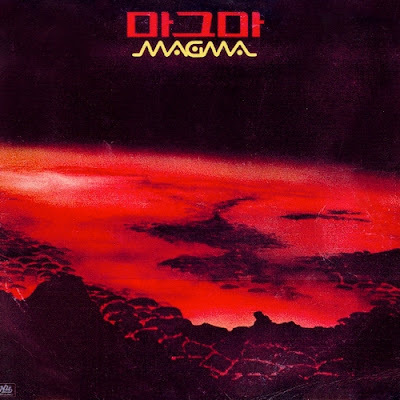 It's weird because I first heard Magma on an mp3 I stumbled upon by pure fluke on the interwebs. And the song, which is song 6 (He Ya) sounds different from this album version. I thought the mp3 I had was from this album but there must be another version recording because mine has an organ but less psychedelic and more rock and roll. Maybe they had a different version for a compilation? Hello, do you have the korean ost to hometown of stars. Always goes for a lot on ebay.